Stop all the clocks! 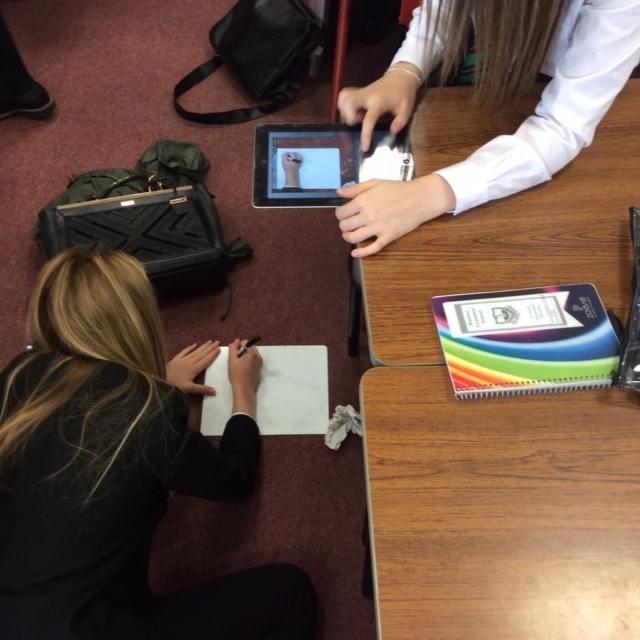 Stop motion animation in the MFL classroom. I’d heard of stop animation but I had never really understood how I could use it in the MFL classroom. That was until I attended ADE institute in Amsterdam this summer…. Catherine is a Science teacher at Hove Park High and was tasked by Apple to present her work on her use of stop motion videos in the classroom at institute. It would be fair to say that her presentation opened my eyes to what was possible with stop motion animation I was hooked. I knew exactly how I would be able to utilise stop motion animation in the classroom because I felt it was the ideal tool for students to be able to show what they know. Not only that, the tool is really easy to use. 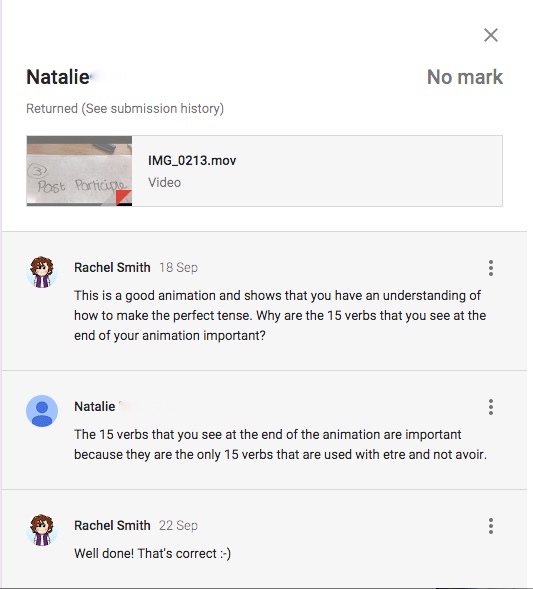 Catherine had already told me how quickly you could establish a student’s understanding of a topic by watching their animations. I was sold on the idea. My Y10 class began their GCSE course with the topic of holidays, this obviously necessitates the use of the perfect or past tense. From my point of view the perfect tense is relatively easy but students always find it tricky. I teach it as a 3 step or in the case of être verbs a 4 step process. 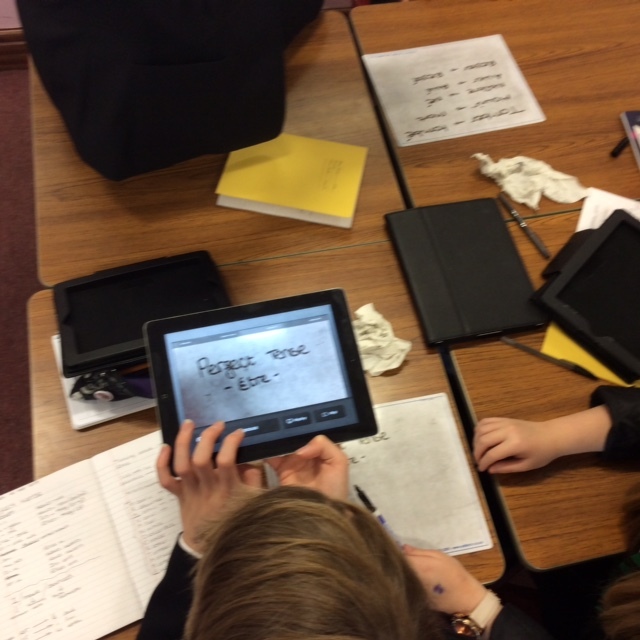 After a number of lessons learning I asked the students to show me what they had learned and to explain the formation of the perfect tense via the medium of stop motion animation. 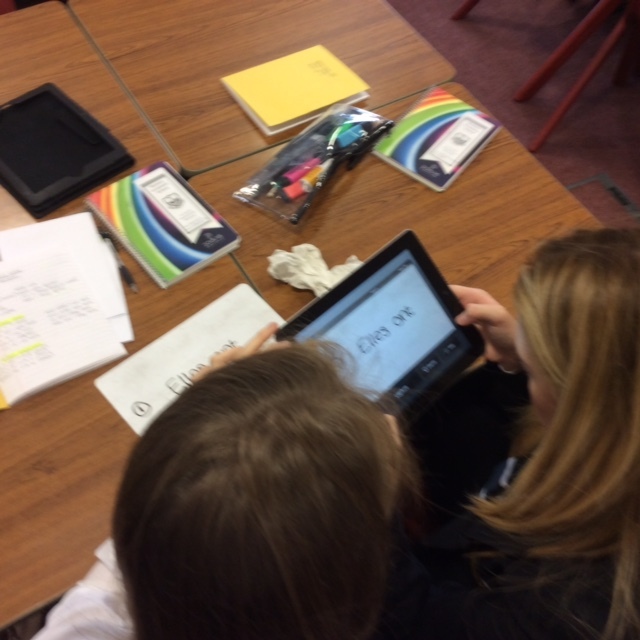 Students had free reign over how they were going to use the app. 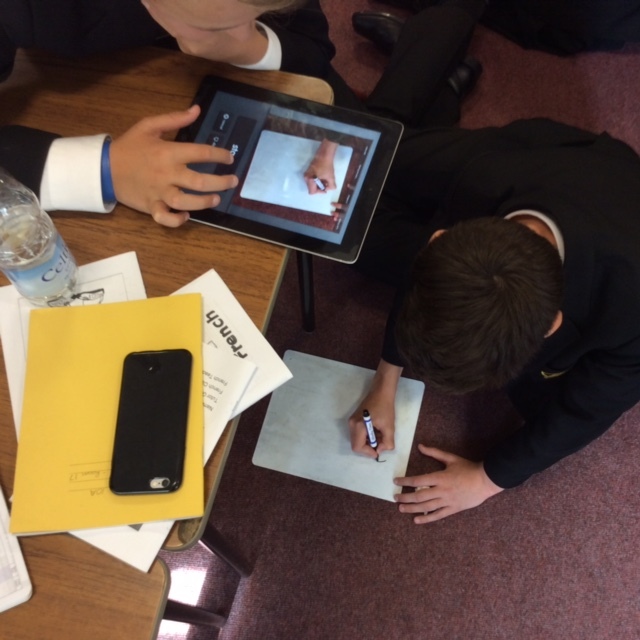 Most of them opted for whiteboards and pens – a digital meets analogue moment for sure! In the iMotion app there are 2 settings. By using the first setting the app automatically takes a photo every 3 seconds. The other option is manual, here the user takes a photo as and when they want to. My students used the manual mode, as this enabled them to pause the app, wipe boards clean, move things around and then take the next picture. The results were brilliant. The students had to think carefully about how they would show me what they understood about the perfect tense. The creative nature of the activity generated an awful lot of discussion about how to fulfil the task and as a result the students had to talk about how to form and use the perfect tense. From a teacher perspective simply by watching the animations I could see who had a good grasp of the concepts and where the gaps in their knowledge lay. Students worked in pairs and uploaded their efforts to our Google Classroom. I was amazed when it took me no more than 40 mins to mark and comment on a class’s worth of work. My students made silent movies but if you wanted them to voice their movies they could drop them into iMovie or the Video shop app and add text and voice. Where next? I would like to try using stop motion for students to demonstrate their speaking abilities and make short animations of dialogue using lego figures or similar. 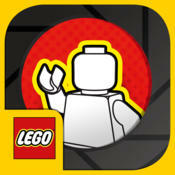 The Lego Movie stop motion app may be useful for this kind of activity. Huge thanks to Catherine Jessey for the inspiration. Those of you that know me well know that I can’t be doing with faff. I like simple and sleek. I find large piles of books a faff and am constantly looking for ways to make marking that bit simpler and quicker. I also love all things digital. One of the issues with digital work is where do you put it once the students have completed it and how on earth do you mark it? Last academic year I was using a variety of methods in an attempt to make my workflow super sleek and slim lined. I was using a combination of iTunes U, Google Drive and our then learning management system called My Big Campus. The very fact that I had 3 systems on the go hardly made the the work flow and it wasn’t what you’d call super sleek either. 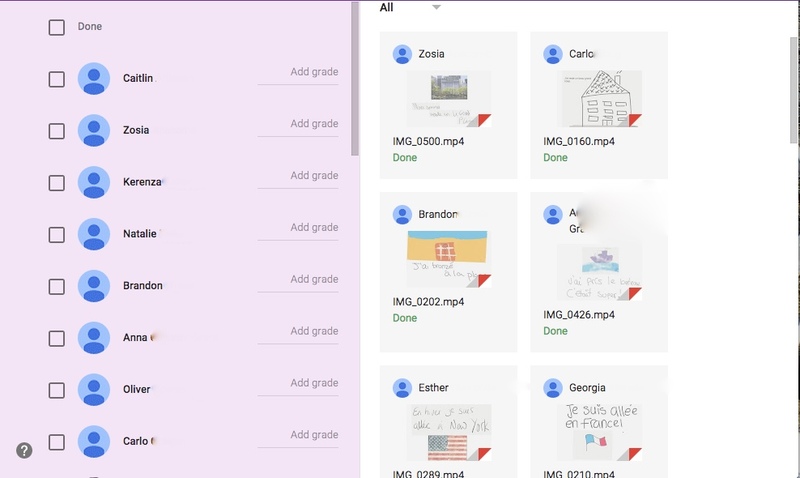 Google Drive is brilliant and awesome for collaboration and sharing but setting up shared folders at the beginning of the year can be a faff especially for younger students. iTunes U is fab but it only works on iOS devices and we aren’t a 1:1 school so some students couldn’t access materials at home. My Big Campus was a bit clunky but worked across all platforms but the marking and feedback work flow was poor. A real solution was required and it cames in the form of Google classroom – a free learning management system from Google, of course. It comes in the form of an app or you can access it via the web. In order to be able to use Google Classroom you need to be a GAFE school, it’s relatively easy to sign up – ask your IT techs about it and obviously clear it with your SLT. The beauty of Classroom is its simplicity. As a teacher you create a virtual classroom online. Students log onto classroom with their GAFE login and they enter a code which gives them access to your classroom. When they sign up to your classroom a folder is created in their drive called classroom in here they can see all the classrooms that they are in. If they open a class folder they will find all the work that they have done in that classroom plus any materials that you may have provided for them. As a teacher, when you create a classroom you also get a file in Google Drive called classroom and in here you can see all the work that your students have done for you organised in individual folders. The faff of sharing folders that you have in Google Drive is gone – hurrah! An an announcement is just that, something you want to tell your students. You can attach things to your announcements such as a video link. Ask a question here you can pose a question for your students and get them to comment upon it – a great way of getting a discussion going. Also a great way of extending your classroom beyond the physical four walls. Create an assignment, use this when you want the students to ‘virtually’ hand something in to you. 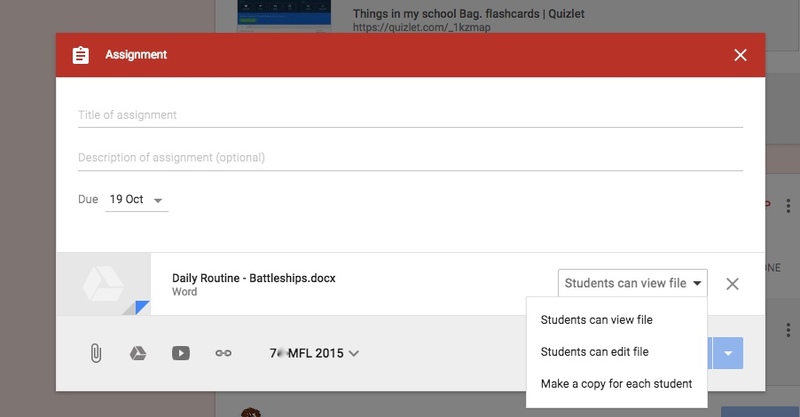 You can attach files to your assignment which can be edited or not by each student. You can also ensure that all students get a copy the file by selecting the appropriate option. Students open the work from classroom and when complete they simply click hand in. Once they have done this they no longer have editing rights over that document, just like they wouldn’t have if they handed in an exercise book. 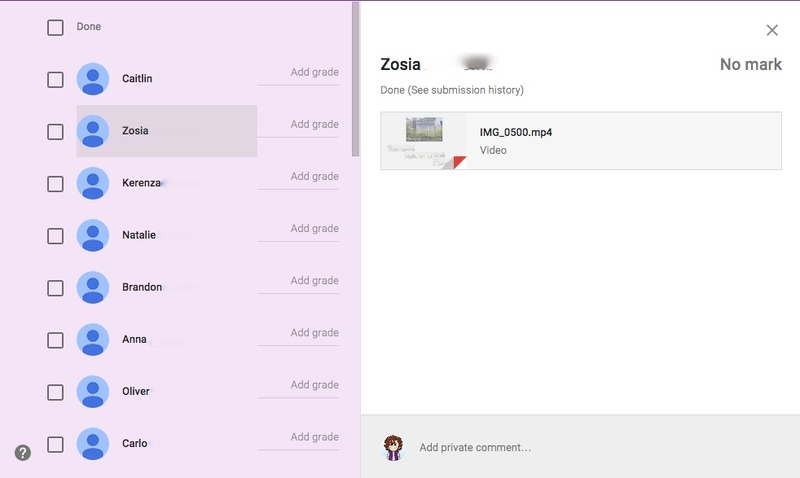 Students can also add files to assignments which is particularly useful in the MFL classroom as it is dead easy to upload audio and video files. Students simply upload from Drive or directly from their desktop or directly from photos if working on an iPad – incredibly simple and super sleek. 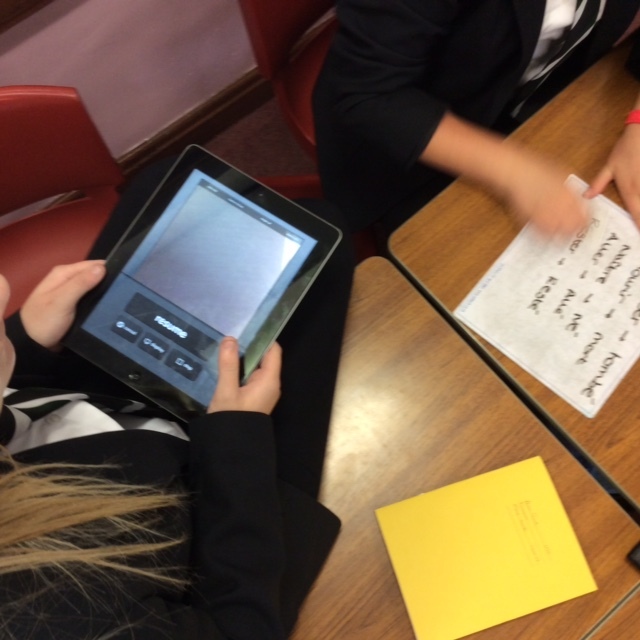 No more confusion from students it’s just a few clicks and their work is handed in, not only that but their digital portfolio is instantly updated as the work is automatically put in their classroom folder – brilliant! Marking is dead easy too. Simply go to the student work tab of your classroom and you will see a student list on the left and all the students work on the right. Classroom will also allow you to see those who haven’t done the work too. 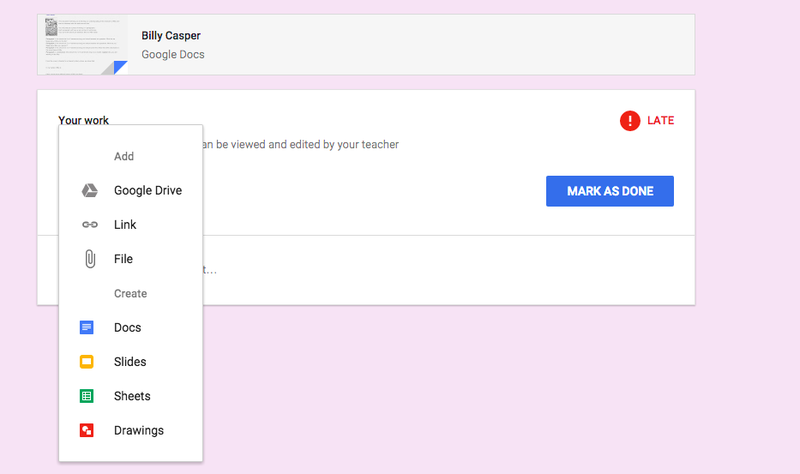 To mark work click on a student’s name, the work will now open in Drive. You can now annotate the work by adding comments. Once done close the work and you can add a private comment for the student, the student can easily reply and a dialogue about their work can begin. When you have marked the work. Click the check box next to the student’s name and click the return button. The student now has editing rights over their work once more. They can even make corrections and resubmit the work to you if that’s what you require. On final and rather cool thing about Classroom is that lots of websites and apps are now incorperating Classroom integration which means you can share things with you students even more easily. 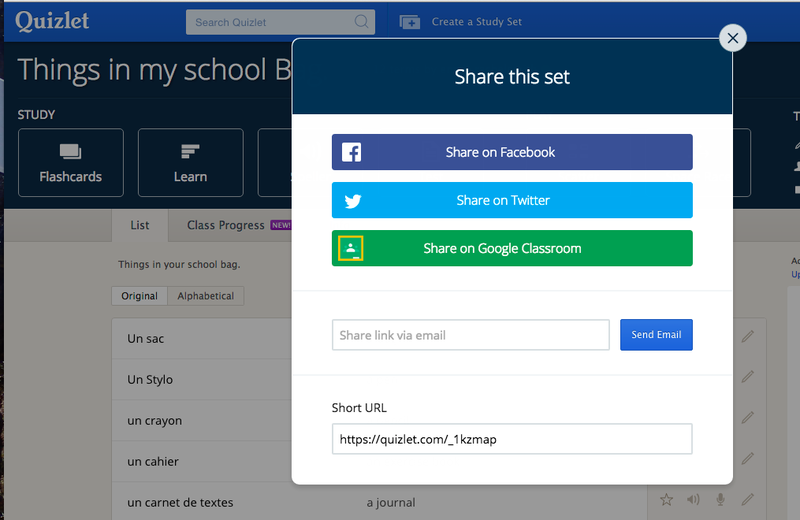 For example in Quizlet you can create a vocabulary list and easily share on classroom by clicking the share in classroom button. Easy Peasy. Google Classroom; super simple, slick and perfect for the Modern Foreign Languages classroom.